KMDS will stage the musical 'Mack & Mabel' from Wednesday 1st to Sunday 5th May 2013. View Photos from our recent Photoshoot here. 1920’s Hollywood. A time when movies were silent and cinema was magic. Mack Sennett, “King of Comedy” and creator of The Keystone Kops, discovers Mabel Normand, a waitress from Brooklyn, casts her in his two-reelers and turns her into a star. So began one of Hollywood’s most tempestuous and heart-wrenching love stories. But life isn’t like the movies - ambition, dalliance and the impending but inevitable threat of change put unbearable pressure on their relationship. Romance turns to jealousy as stardom invites scandal and heartbreak. 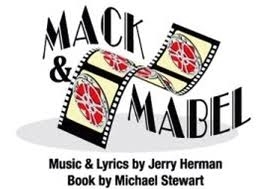 With a spectacular, soaring score including “Look What Happened To Mabel”, “I Won’t Send Roses” and “Time Heals Everything” Mack & Mabel is a beautiful, touching and ultimately heart-breaking story of two of Hollywood’s greatest icons. With great pleaure and much excitment we announce the cast for our forthcoming musical, Mack & Mabel, opening 1st May 2013.